Commuters were hit with travel chaos yesterday after a train broke down in Arbroath. The 6.40am Aberdeen to Glasgow Queen Street service broke down at Arbroath at 8am, blocking both the south and north line. Journeys between Aberdeen and Dundee were cancelled all morning due to the issue, with passengers as far north as Inverness affected by the backlog as services terminated at Dundee. Passengers were said to be “stranded” on board carriages on the line between the two cities, while scores of people were left on the platforms in Aberdeen, Montrose, Perth and Inverness or offered a replacement bus service. North East MSP Liam Kerr was one of those stranded on a train and tweeted Scotrail from onboard. He said: “As a frequent passenger between Aberdeen and Edinburgh, I thought I’d seen it all when it comes to delays. “But that was a real struggle for many people; you could see that on their faces. 113 passengers are sitting outside Arbroath waiting for the points to be fixed. No update for over an hour. When will this train be moving into Arbroath please; will the buses be immediately ready and will those take passengers to dundee or all the way to Edinburgh? The train fault at Arbroath was not rectified until after 12pm when a “rescue train” was sent to tow the broken one away. 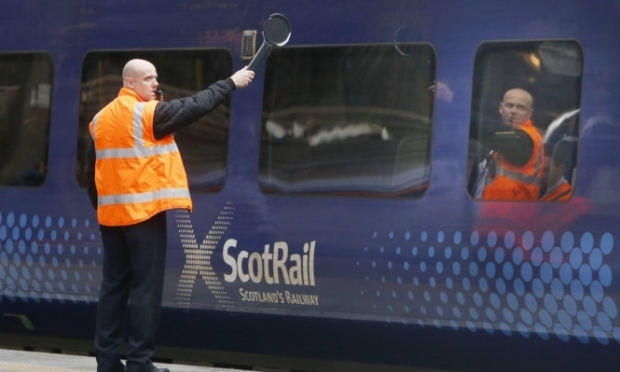 A ScotRail spokesman said: “We’re really sorry to customers who were disrupted as a result of this broken down train – we know the impact this has had on your day. “Customers who were delayed by 30 minutes or more are entitled to claim money back through our Delay Repay Guarantee.